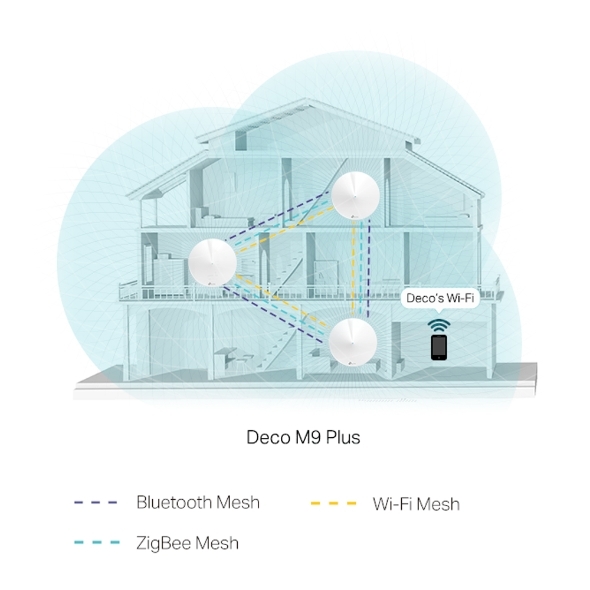 A Deco M9 Plus three-pack delivers Wi-Fi to an area of up to 6500 square feet. 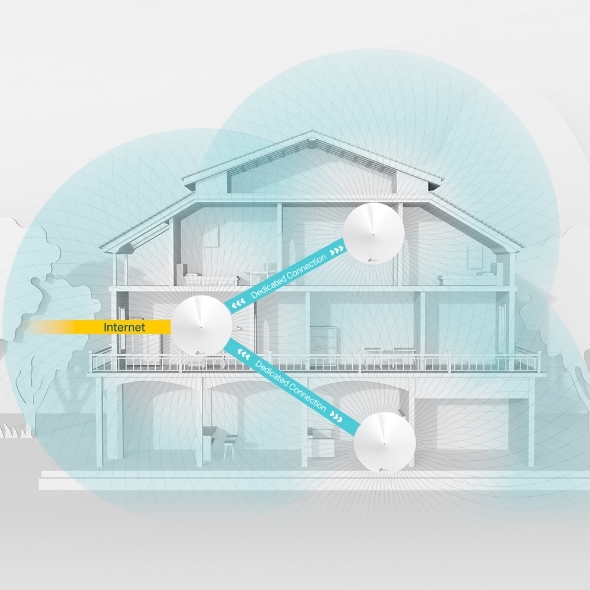 If that’s not enough, simply add more Deco units to the network anytime to increase coverage. 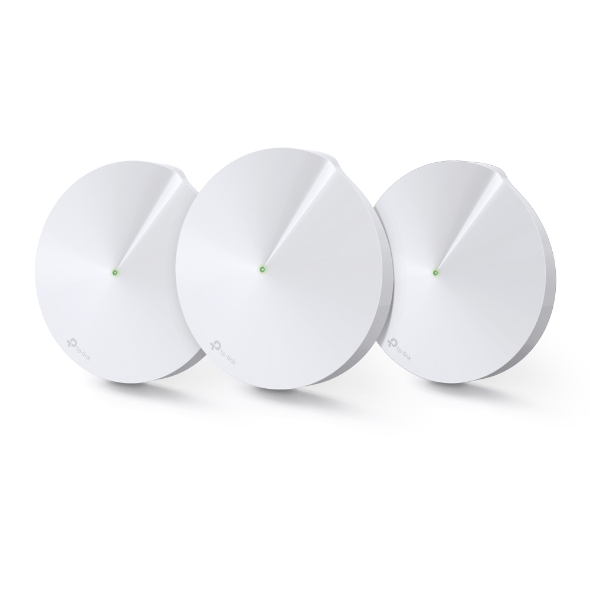 Three separate wireless bands provide a fast and stable connection with speeds of up to 2134Mbps, which is ideal for your gigabit fiber. 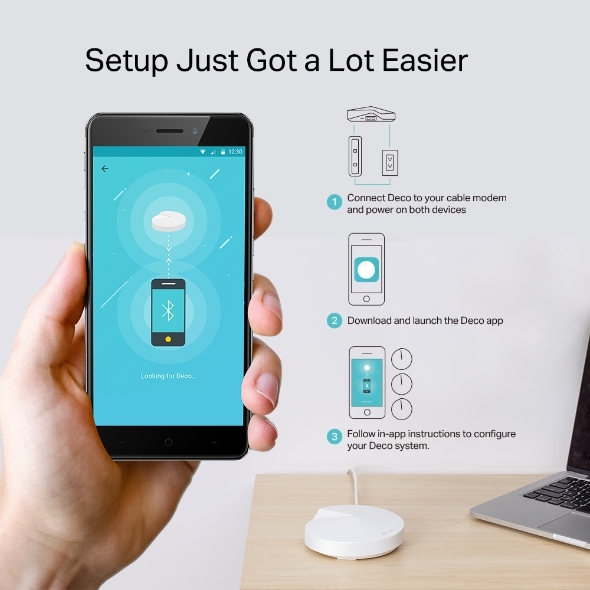 Deco M9 Plus acts as a hub for your smart home devices. 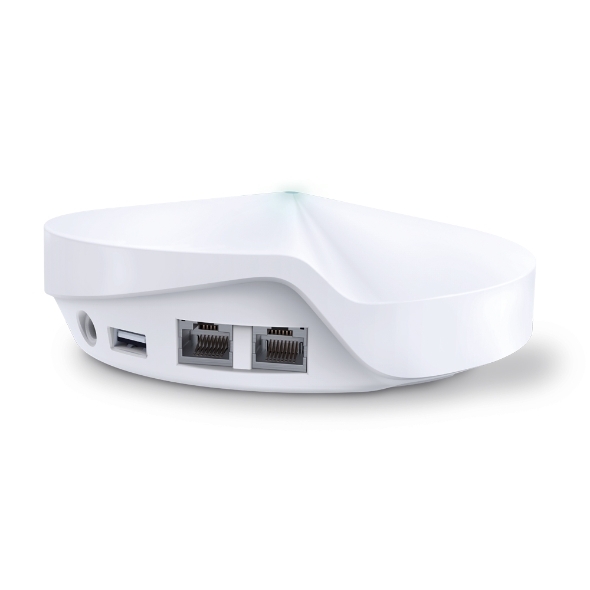 Adjust settings and create interactions from one platform — there’s no need to buy an additional smart hub. 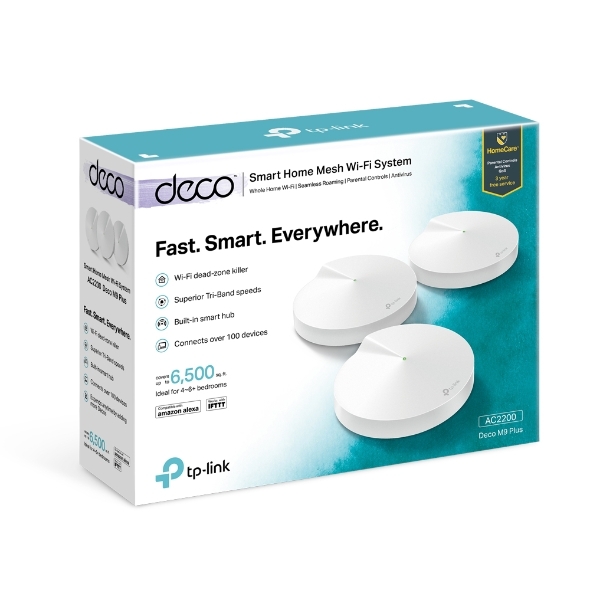 Deco can handle traffic from even the busiest of networks, providing lag-free Wi-Fi connections for over 100 devices. 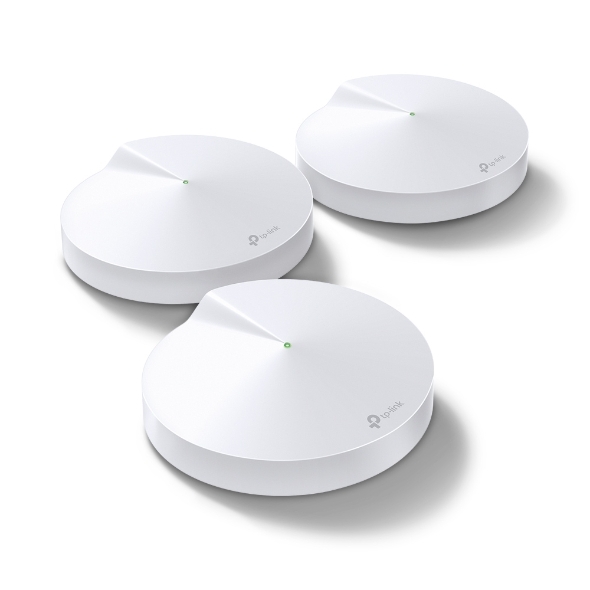 TP-Link HomeCareTM provides a suite of personalized and security features, including Parental Controls, built-in Antivirus and Quality of Service (QoS).